GERMI as an organization has grown from its inception. 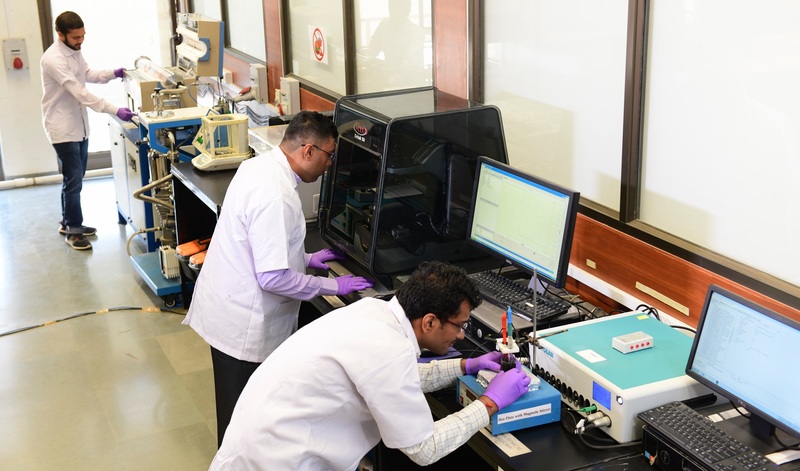 The number of research and consultancy projects being awarded to different Research Wings of the institute by government bodies and private organizations has spurred a need for more scientific manpower. The institute plans to recruit scientific manpower based on the requirement of the projects. The GERMI Project Fellow Scheme aims to recruit candidates with proven academic and field experience in areas specific to research and consultancy project. Based on the number of candidates, the institute may conduct a screening test prior to personal interview. The details of projects positions can be found on the link. The candidates are expected to apply in different Departments/ Centres based on their academic background and field experiences. The selected candidates will be working on the research and consultancy projects related to identified Research Wing under the Principal Research Scientist. This Scheme is meant for full time project assistance at GERMI. The scheme is open for candidates possessing at least Bachelor’s Degree, preferably Master’s degree, in the relevant areas of geosciences and work related to hydrocarbon exploration, extraction, renewable energy systems and allied energy sectors, environmental sciences and engineering or any other related fields from a recognized university. For specific requirements under different research wings the minimum qualification and experience will be notified on the website from time to time. In case of those who are already employed under any project their applications should be routed through their supervisor. An advance copy of the application may be sent to the concerned PRS at GERMI for consideration. The Project Fellow will be entitled to an honorarium as mentioned in the detail project advertisement. The honorarium paid to the Project Fellow shall be subject to the Income Tax Act, as per Government of India guidelines. The selected candidate will be supported with a common local transport facility from the common location to work place and back. GERMI will not provide accommodation facility. Interns are required to being their laptop computers. Photocopy of the Educational certificates. The applicants are advised to send an advance copy by email followed by the hard copy of application form and relevant documents for scrutiny by the concerned PRS at GERMI. Based on the assessment by PRS the candidates will be shortlisted for interview and informed by email. Applications can be sent through E-mail followed by hardcopy to be sent through Speed/Registered post at any time or whenever the post is advertised on the website with letters of recommendation by the concerned persons directly to GERMI indicating APPLICATION FOR ‘GERMI PROJECT FELLOW SCHEME 2014-15’ on the cover. Shortlisted candidates will be notified by email along with the details of interview date. Raisan, Gandhinagar - 382007, GUJARAT.